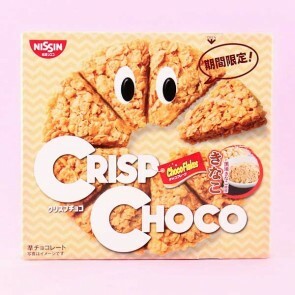 Crisp Choko is a super tasty corn flake snack by Nissin. The delicious round crunchy corn flake snack is split into 8 slices and the perfect treat to share! Crisp Choco is available in several exciting flavors from the original milk chocolate to pancake madness!